Should You Become A Monat Market Partner? We scoured the internet to find a wealth of information to develop an in-depth Monat review. Here you will learn more about being a Monat Market Partner, if there is a Monat scam and how to sell Monat. 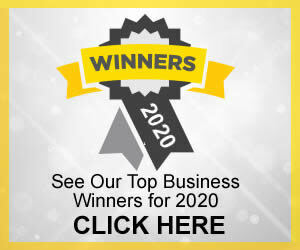 By the conclusion of this Monat review, you will be able to see whether it is a legitimate opportunity and if you should become a Monat Market Partner. For a Monat review to be complete, it is imperative to explore exactly what it is. This is a brand of premium hair care systems and products available via direct sales. The company states that they use an exclusive combination of active botanicals and a proprietary Rejuveniqe Oil Intensive blend. They state that their products are clinically proven to improve hair health. Volume Treatment System: This includes a conditioner, shampoo and root lifter. Body System: This includes a conditioner, shampoo and restyle instant sculpting taffy. Volume Tame System: This includes a conditioner, shampoo and refinish control hairspray. Balance Treatment System: This includes a leave-in conditioner, shampoo and replenish hair mask. Style System: This includes a conditioner, shampoo and restyle instant sculpting taffy. Balance Polish System: This includes a leave-in conditioner, shampoo and refinish control hairspray. Men Treatment System: This is formulated specifically for men and it includes a 2 and 1 conditioner and shampoo plus and intense repair treatment. Rejuveniqe Oil Intensive: This oil purportedly helps the other products to work more effectively. It claims to prevent oxidative stress, reduce hair thinning, promote shine, repair damaged hair and promote greater hair thickness. The ingredients used in Monat products promise to be safe, sustainable, pure and naturally based. They state that their rich formulations make their products unique from similar botanical items on the market. They state that the ingredients used are effective since they can mimic the oils naturally produced by the body. This is said to contribute to the product’s benefits for thinning, flat, dull and damaged hair. Monat was created by the Urdaneta family. It was officially launched in October of 2014. Luis Urdaneta is the ALCORA Group Chairman of the Board. This company, which was established in 2001, is responsible for Monat L’Eudine Global and Project Beauty. ALCORA created offices in both Miami, Florida and Maracaibo, Venezuela. It started as a direct sales company, creating different brands under the ALCORA umbrella. Monat and its sister brands used B&R Products Inc. to develop their products. This is a manufacturing warehouse and plant that is climate controlled and FDA-registered. The developer of Monat products has more than 35 years in the industry. They state that they utilize high production capabilities, progressive technology and a vast library of formulations. In 2013, ALCORA officially acquisitioned B&R. Company owners state that this provides even more possibilities for creating the best wellness and beauty products in North and Latin America. Luis is the founder and chairman of the company. He is a first-generation direct-sales entrepreneur. At just age 15 he started thinking about social marketing and creating a business from the concept. This is when he started working on creating what eventually became Monat. 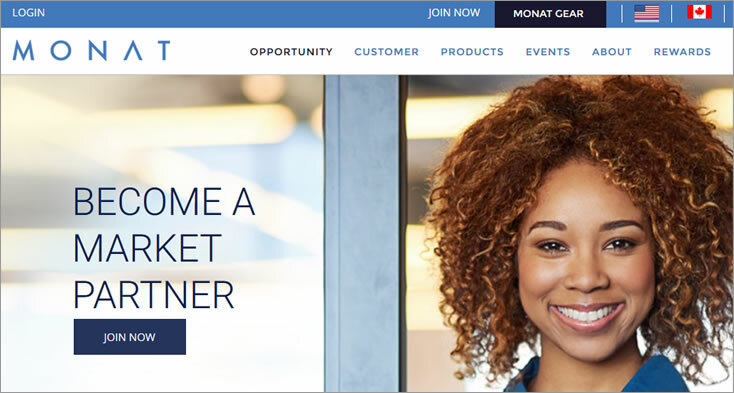 What is a Monat Market Partner? SMART Start Workbook to give you all of the information you need about the Monat systems and products you will be selling. Market Partner Academy access. 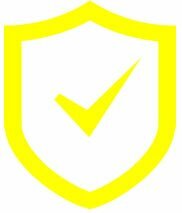 This is an online learning environment that will help you to grow and improve your sales and business techniques. SMART Start Roadmap to help you start your selling business right. Product samples: 35 in the Starter Kit, 56 in the Success Product Pack and 70 in the Overachiever. Meet Monat brochures that you can pass out to introduce this business to others. VIP customer brochures that help you to explain the Flexship service and VIP Customer plan. Product brochures that provide the pricing and product information for what you will be selling. After becoming a Monat Market Partner, sellers also get a personal website to aid you in selling your products. 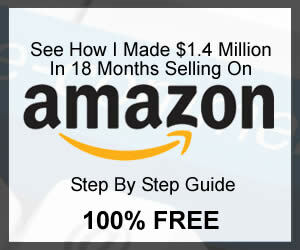 This allows sellers to market their products 24/7. Those who sell Monat receive a 30 percent discount on products. This discount is off of the retail price. How Much Does It Cost to Sell Monat? To sell Monat and become a Monat Market Partner, the first step is purchasing the Monat Starter Kit. Starting costs are often a big concern among those looking for a Monat scam. Compared to other beauty direct sales companies, the cost of Monat is comparable. When signing up as a Market Partner it depends on the product pack you choose. In the United States, a fee of $99 is required to get started. In Canada, this fee is $125 in Canadian currency. There are also starter kits that cost $399 USD or higher. It depends on which starter kit you choose. In addition to the starter fee to sell Monat, sellers will also pay a renewal fee once a year of $19.95. As part of a comprehensive Monat review, it is important to differentiate between VIP Monat customer and being a Monat Market Partner. We do see some Monat products selling on Amazon. We are not sure if this is allowed, but, it seems that some Monat Market Partners use Amazon to sell products. How Much Money Can Be Made with Monat? Can I make money or is there a Monat scam? Those exploring this Monat review have surely asked these questions. They have 4.8 stars from four reviews on Indeed. The reviews all appear to be from those selling Monat. They list being able to work at home and have a flexible schedule as reasons why they joined Monat. One reviewer stated that it can sometimes be difficult to find buyers for his or her products. Trustpilot is an important source for a good Monat review. The company has a four-star rating on this website. As of today, there are 1,694 reviews. The reviews are a mixture of customers who have purchased the products and those who sell Monat. Reviews on the actual product are mixed. Some love them and others state that the products caused them to experience hair loss and damage. Some reviewers report that customer service is poor. Others say that not all costs are disclosed upfront for customers. This company is not accredited by the BBB, but this does not automatically mean that there is a Monat scam. The company has a “D” rating with the BBB. The BBB states that they are no longer allowing reviews for Monat because they are unable to confirm whether the reviews being submitted are authentic. There are currently 716 complaints against Monat on the BBB website. It states that the business has not resolved the cause of the complaints. There are currently 12 listed reports on this website. Some reviews allege a possible Monat scam and state they were charged by the company, but they never authorized a purchase. There are several complaints about poor customer service and inability to receive refunds. The reviewers all appear to be people who purchased the product and not those who join the company to sell it. They appear to have an active Facebook page, but no visitor comments. There are no reviews or ratings on their Facebook page. There are comments on posts from customers that seem mostly positive. Any complaints appear to be addressed relatively promptly. The business has 3.8 stars on Glassdoor. Three people left reviews as Monat sellers and one left a review as a former company manager. Approximately 76 percent of people who left reviews say they would recommend Monat to a friend. Those who left reviews stated that the support network is solid and with hard work, you can earn money. So, is there a Monat scam? There does not appear to be an outright Monat scam. However, the reviews are mixed, especially from customers who have purchased and used the products. Overall, those who sell the products and left reviews seem relatively happy. After doing extensive research for this Monat review, there does not appear to be a blatant Monat scam for those wishing to sell the products. We mark Monat as recommend with caution. Nu Skin Review – Is Nu Skin A Scam Opportunity?